Everything you need to know about reprocessing. Basically, the equipment must undergo hygienic processing in accordance with validated procedures after every use. This means you must clean, disinfect and sterilise the nebuliser before it is used by another patient. Adhering to a specific sequence of processing steps is particularly important so that you attain the high level of sterilisation safety required of sterile products by the guidelines and standards. 1. Cleaning, 2. Disinfection, 3. Sterilisation. You will attain the high level of sterilisation safety if you do follow all the steps using efficient, validated procedures. Cleaning and disinfection should be performed immediately after use. Put the completely disassembled nebuliser into an instrument washing machine on the 93°C setting or place it in a cleaning and disinfecting solution. 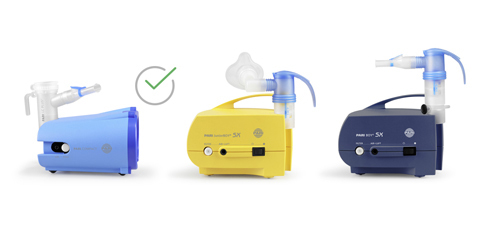 After cleaning and disinfection, the nebuliser components must be put into a sterilisation pack that is appropriate for steam sterilisation and sterilised at 121°C (up to 20 min.) or 134°C (up to 7 min.). 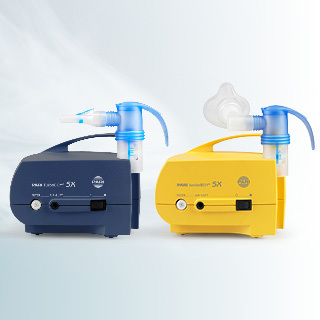 The sterilised nebuliser must be stored in a dry, dust-free place away from sources of contamination. The physician’s portal has information especially available for specialised medical personnel. Nebulisers with individual droplet size for each indication.